Starch: While ironing cotton, linen, and durable synthetics (such as polyester), spray with Stiffen Up from 6 inches away for a crisp finish. Never starch silk, silk-like fabrics, delicate synthetics, wool, cashmere, and wool-like fabrics. 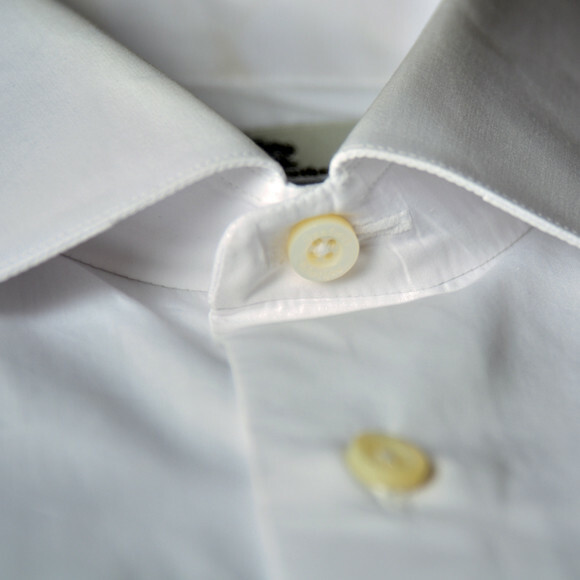 Collar: Pop the collar and iron from the tips toward the middle. Iron the inside, flip, and do the outside. 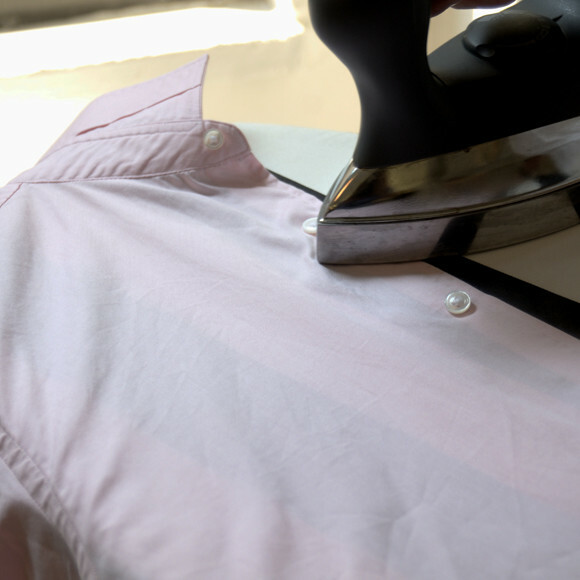 Don’t turn down the collar until the rest of the shirt is ironed. Be careful not to iron a crease into the collar. Cuffs: Starting on the inside, iron from the bottom edge toward the sleeve. Flip the cuff and repeat. Also poke the tip of the iron into the pleat(s) just above the cuff. Sleeves: Hold up and tug taut along the seam so you’ve got a crisp, straight fold from shoulder to cuff. Lay the sleeve on the board, and ensure both layers of the fabric are smooth. To easily correct any creases, do the back of the sleeve first and save the front for last. Yoke: Staying in that position, hit the yoke (the double-layer strip that connects the collar to the shirt body). Swing the iron from shoulder to mid-back. Switch shoulders and repeat. Check for grime on the bottom of the iron. Also, clear the ironing board of debris. If it’s really dusty, throw the ironing board cover in the wash. 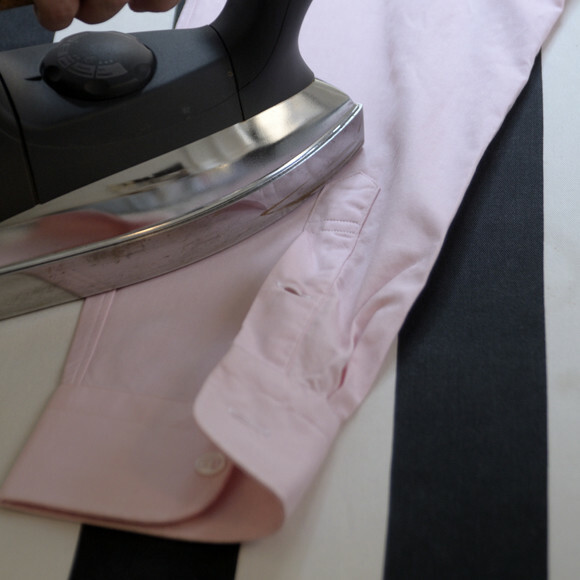 Skip the dryer, and iron straight from the washing machine. Not possible? 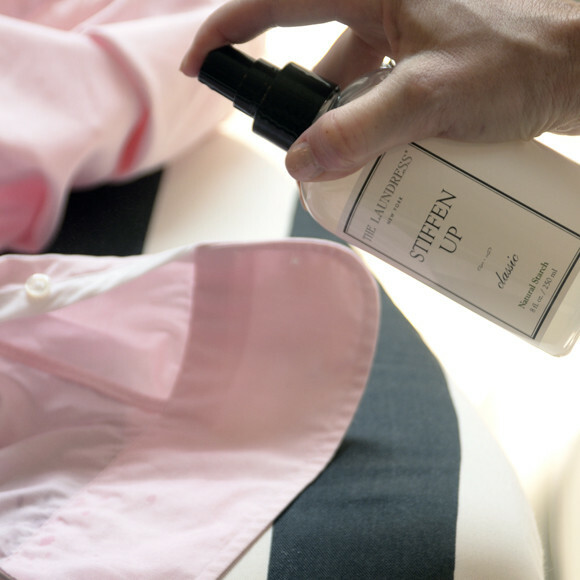 Use a spray bottle of water to dampen the shirt. 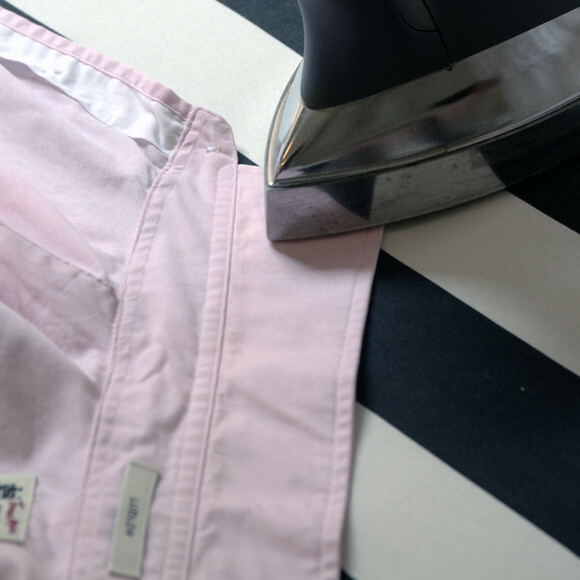 Add a capful of Ironing Water to your iron for a fragrant finish and to ease ironing. For a crisp finish, spray Stiffen Up from 6 inches away while pressing. Never starch silk, silk-like fabrics, or delicate synthetics. Do not starch wool and wool-like fabrics. This duo provides the ultimate finish in fabric care, resulting in perfectly pressed clothing and linens. Naturally freshens, adds scent, and eases ironing while adding a crisp finish.